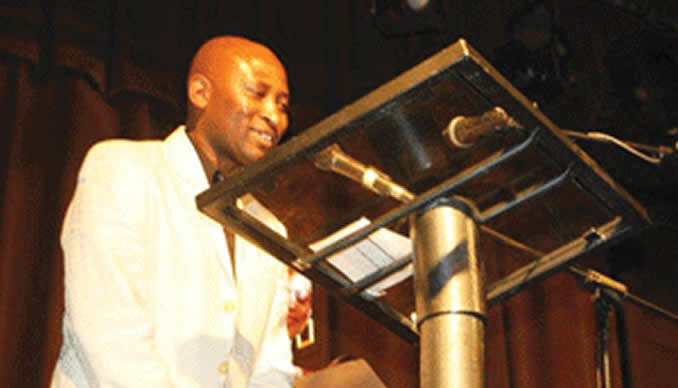 BULAWAYO provincial education director Olicah Kaira has condemned the spreading of falsehood after the circulation of a hoax on social media claiming former Warriors captain Peter Ndlovu has donated a bus to Mzilikazi High School. Kaira said the information is harmful to the school, the community and Ndlovu and couldn't get the logic behind the creation of such information. "I would like to state it categorically clear that Mzilikazi High School didn't receive a bus from anyone. The bus which the school have was bought by parents and I'm the one who unveiled it. The school head is also shocked by the information as a lot of people have been calling him, inquiring whether the information is true or false," said Kaira. She advised people to verify information before disseminating it through social media and expressed shock on whoever created the information, involving a government institution and Ndlovu, who is of great stature in the country. "This is bad as it's harmful to both Peter Ndlovu and the school. It complicates everything and creates a lot of conspiracies which may cause speculations among the community. As we speak a number of people have believed that Ndlovu has donated a bus to his former school and people will demand to see the bus and it may cause chaos between the school administration and the community. "I would also like to send my sincere apologies to Ndlovu as we're aware how damaging the falsehood can be to parties involved. As a people we must make it of paramount importance to curtail false information on such platforms. The impact of false information makes it one of the modern dangers to society," she said.